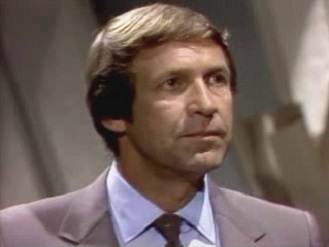 Portrayer: Ron Harper, April 2, 1980 - September 25, 1980. Arrival: Came to see his daughter, Kit Halloway and meet Joey Perrini. Introduction Scene: Pleased Joey Perrini and Kit Halloway are in love as he watches them. Exit Scene: To Joey Perrini and Rick Halloway, in Gwen Frame's office, "What does either one of you really know about life?" Relatives: Taylor Halloway Jr. (RIP), son. Rick Halloway, son. Kit Halloway, daughter. Amy Dudley, daughter. Medical History: Had a stroke and heart attack (1981). Occupation: Owner of Philadelphia Oil.